Hello, I hope you had a Merry Christmas and are resting up with family and friends! I know Christmas is over, but I couldn’t post any of the stuff I made as gifts until I gave them out, but you could still make them for yourself or birthdays, or just wait till next year. 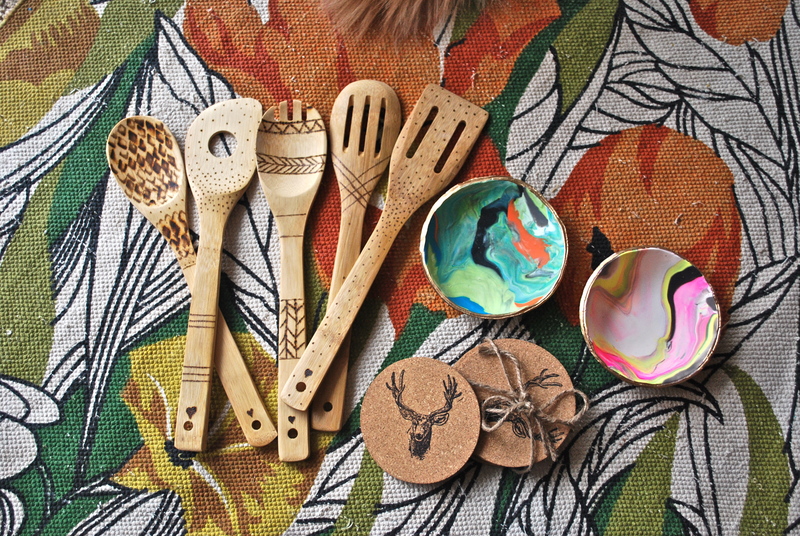 So here we have wood burned bamboo spoons, hand stamped cork coasters, and yes, those are the marble clay dishes from A Beautiful Mess!